Anne Lamott is my favorite kind of Christian: unflinchingly honest, funny, quirky, authentic and inspiring. 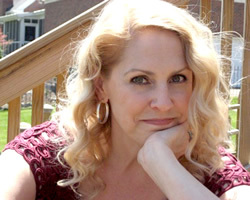 Her newest book is a sequel of sorts to her 1993 best-selling memoir, Operating Instructions: A Journal of My Son’s First Year, which chronicled the birth of her son Sam, and the transforming, turbulent first 12 months of his life. Anne Lamott was a 35-year-old single mom at the time, a wobbly new Christian recovering from bulimia, alcohol and drug addiction. Some Assembly Required finds her at the ripe young age of 55, still sober and surrounded by a cadre of friends and a vibrant church family, dealing with the initially unwelcome news that her now 19-year-old Sam and his on-again/off-again girlfriend Amy are going to have a baby. 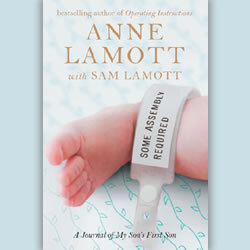 Lamott’s feelings quickly turn to delight, though she is concerned with the nature of Sam and Amy’s unmarried union; her self-proclaimed “tiny, tiny little control issues” immediately surface. The book details her monumental struggle before, during and after her grandson Jax’s birth to try to make every day “…Mitts Off of the Kids Day.” Her chapters are interspersed with Sam’s own written discoveries and reflections on fatherhood. The two writers’ voices capture both sides beautifully. The fierce, fathomless love a parent feels for a child is always at war with the knowledge that we ultimately have to let go and trust God to take care of them. In Lamott’s inimitable poignant, hilarious style, she opens her heart to the reader and allows us to bear witness to her triumphs and failures in doing just that.